Cape Town was voted Best City in the world to visit by more than 75000 readers of The Telegraph in the Telegraph Travel Awards 2015/2016. South Africa was awarded third best country in the world to visit by The Telegraph in the same Travel Awards 2015/2016. Condé Nast Traveler voted Cape Town Best Food City in the world in their 2016 Readers’ Choice Awards. One of our favourite restaurants, The Test Kitchen, has just been voted the Best restaurant in Africa and number 22 in the world by The World’s 50 Best Restaurant Awards. Booking well in advance is essential. Cape Town has some amazing Winter Restaurant Specials. Have a look at this mouthwatering list courtesy of Eat Out Magazine. Cape Town caters for all budgets. The exchange rate is bound to be in your favour, especially if you are carrying Euros, American Dollars or of course Pounds. We have Uber. So traversing our great city has never been easier or cheaper. And if you are new to Uber, sign up using this code PAULD13040UE, and you will receive up to R100 off on your first ride. Here is a very short list of some of our favourite restaurants. You will find others scattered throughout this list and we highly recommend you explore for yourself. The Pot Luck Club. Owned by Luke Dale-Roberts, who also owns The Test Kitchen. Both restaurants are located at the Old Biscuit Mill which also plays host to one of the hippest and vibiest markets in Cape Town on Saturdays, the Neighbourgoods Market. There is the very hip Bree Street, in Cape Town, which has become synonymous with the first-Thursdays. SMAK delicatessen, patisserie, restaurant and coffee bar located on Bree Street, and serves our favourite breakfast. They also make really good cappuccinos and have very friendly service. Diagonally across the street from SMAK you will find Orinoco. Indulge in authentic Latino American cuisine. For a taste of Italy there is Locando at Villa 47. Impresses with good food and wine and great service. And in case you wondered, Bree Street has its own Facebook page. Mother’s Ruin Gin Bar, Africa’s first gin bar, located also on Bree Street. At Chefs Warehouse, another really popular restaurant on Bree Street, you will also find the first cider to be sold at Harrods in London, Sxollie Cider, and it hails from Elgin. Just off Bree Street, at 95 Hout Street, you will find Bouchon Bistro and Wine Bar. Good tapas and an awesome wine selection to choose from. Five minutes walk from Cape Town CBD you find De Waterkant. And located at The Cape Quarter in De Waterkant is our local, Yumcious. Owned by Jenny Morris, also known as the Giggling Gourmet. Yumcious is an absolute must when you visit Cape Town. Daily at 12.30 they put out the harvest table with a mouthwatering selection of good food. Some healthy and some indulgent. You choose. We love it. Of course if it does get chilly then Den Anker restaurant in the V&A Waterfront will keep you warm with a roaring wood fire and great food. Willoughby & Co, get there early though, it really gets busy and they do not take reservations. Balducci’s offers good food and great service and a fantastic year-round lunch time special. This offer was in effect at the time of writing this article, but can obviously change, so refer to their website at the time of your visit. Coffee is hugely popular in Cape Town and consequently there are numerous coffee shops and roasteries within walking distance of each other in and around the city. Truth Coffee, Bean There and Origin Coffee Roasters, to name just a few. There is also a super chocolate house called Honest Chocolate on Wale Street for you to indulge your sweet tooth with hot chocolate drinks, chocolate cakes of all description and sinful chocolate bars of all sizes. If you plan to go up the West Coast and visit places like Langebaan and Paternoster then keep in mind Langtafel op die Duin. An absolute must if you consider yourself a foodie. City Sightseeing Tours’ double-decker hop on and hop off red buses are a great way to see the sights and get to Table Mountain and back. Visit citysightseeing.co.za. 1-day and 2-day bus tickets, as well as tickets for the Harbour Cruise, Sunset Bus, the LaGuGu Township Tour and Bus and Helicopter Combo, are all discounted online. Make sure to book your ticket for the cable car up Table Mountain online at http://www.tablemountain.net/ to save yourself time in the queuing. Of course you can hire a tour guide. 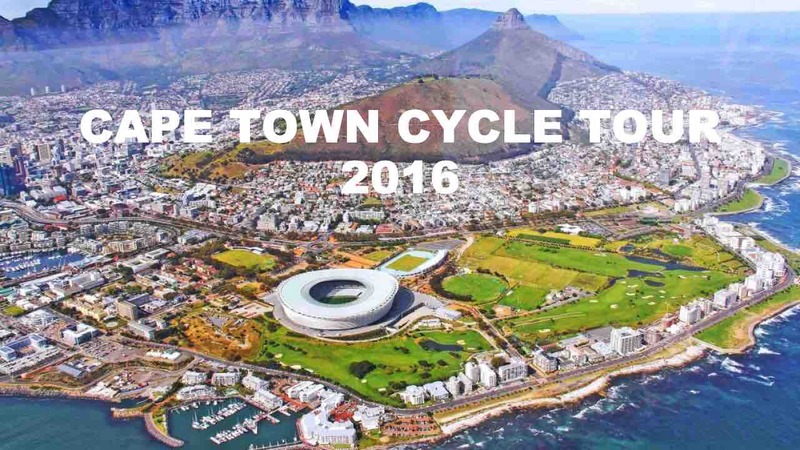 For private, tailor-made Cape Town tours visit http://www.ambertours.co.za/. Lesley does tours of the City, the Cape Peninsula and the Wine Region. One of our favourite routes, is the drive from the V&A Waterfront, hugging the Atlantic Seaboard, passing through Hout Bay continuing on Chapman’s Peak Drive till you get to Noordhoek. Absolutely breathtaking. Check out Chapman’s Peak Drive website and watch the video on the landing page to get an idea of how spectacular this marine drive really is. Noordhoek beach, a spectacular stretch of white sand, is also home to The Dunes horseback riding stables and is the perfect location to go horse riding. If you prefer to take in part of this route on a bicycle, visit Up Cycles; they are Cape Town’s first drop-and-go bicycle companies. Up Cycles have partnered with VoiceMap: Audio Walking Tours to create a guided Sea Point Promenade cycle tour, which departs from the V&A Waterfront and concludes at our Sea Point Pavilion station. We have great Mountain biking and hiking trails. Keep safe, though, and make use of companies like Awol Tours. The V&A Waterfront is also home to another favourite, the Two Oceans Aquarium. We visited the aquarium a few months ago and can highly recommend a visit for the kid in all of us. Read more about our experience. If you’re into conservation then be sure to check out Penguin Promises. They don’t want your money honey, just your love. Have a look at their ‘What YOU can do’ page and do your bit. A visit to Cape Town would be incomplete without taking in its rich floral history and there is no better place to do this than the Kirstenbosch Botanical Gardens. Acclaimed as one of the great botanic gardens of the world. Fynbos is at its best during winter, many species are in flower and the Fynbos Walk is alive with colour and birds. Finally, there is The Vue Sky Bar and Lounge, situated on the 15th Floor at 40 Chiappini Street, Cape Town, you will find no better view in Cape Town. A great spot to chill and take in a 360 degree view of our beautiful city. Saturdays are a great time to explore some of our markets. The three on our list operate in close proximity and Uber is a great way to make your way between them. Start with the Neighbourgoods Market at the Old Biscuit Mill which can be the busiest. There is a lot to see and experience. And of course lots to shop for, from food to fashion. Come prepared. Next on our list is The Market at the Palms, the most tranquil market on our list, and a great place to enjoy your breakfast. The Oranjezicht City Farm Market is our last stop. It is located at Granger Bay adjacent to the V&A Waterfront and focusses mostly on food and a lot of it. From here it is a two minutes’ walk to the V&A Waterfront. You are now set for an afternoon of shopping in one of the largest shopping malls in Cape Town. Or you can visit the Two Oceans Aquarium. Or take in a movie. The choices are varied and plenty, and they are all yours. Our wines are considered world-class. The De Morgenzon Chardonnay Reserve 2015 was named by the 2016 Decanter World Wine Awards, held in the UK, as the best in the world. The De Morgenzon Estate is located in Stellenbosch and owned by Wendy Applebaum, one of the richest women in Africa. 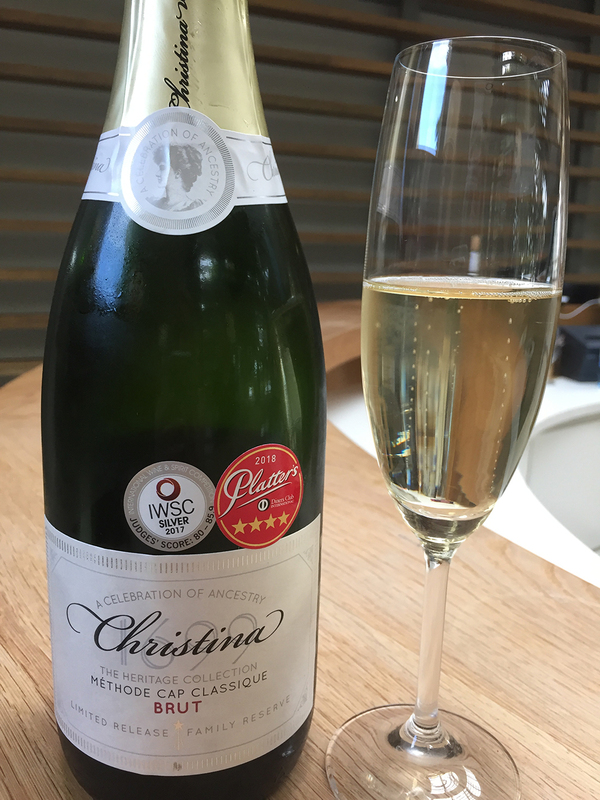 Other wine estates doing us proud with Platinum awards include Delaire Graff, Spier and Paul Cluver. Delaire Graff, a most beautiful estate, is home to Indochine They serve world class Asian-inspired cuisine and one of the best vegetarian five course meals I’ve ever had. Warwick Estate, from Stellenbosch, produces some great wines and definitely some of our favourites. Located a half hour’s drive from Cape Town is Groot Constantia, the oldest wine producing farm in South Africa, dating back 330 years. And it has been producing wine since its inception in 1685. And they aren’t resting on any laurels either. Groot Constantia wines have collectively won 94 awards since 2003, 22 of these awards in the last year alone. Impressive indeed. And they received the 2015 Klink Award for the Most Welcoming Cellar Door Experience. Further up the slopes of Constantia Nek lie the estates of Constantia Glen and Beau Constantia. Their wines are truly excellent, as are their locations. Both offer superb tasting facilities as well as some of the most spectacular views across the Constantia Valley. In the centre of Cape Town you will also find an urban wine producer, Dorrance Finely Crafted Wines. Located at 95 Hout Street, inside Bouchon Bistro and Wine Bar. Bouchon focusses on delicious tapas and great wine. A wonderful way to spend an evening. An hour from Cape Town you will find Franschhoek, also known as South Africa’s good food and wine capital. It is located in a beautiful valley and the town and surrounds are absolutely spectacular. Well worth a visit. 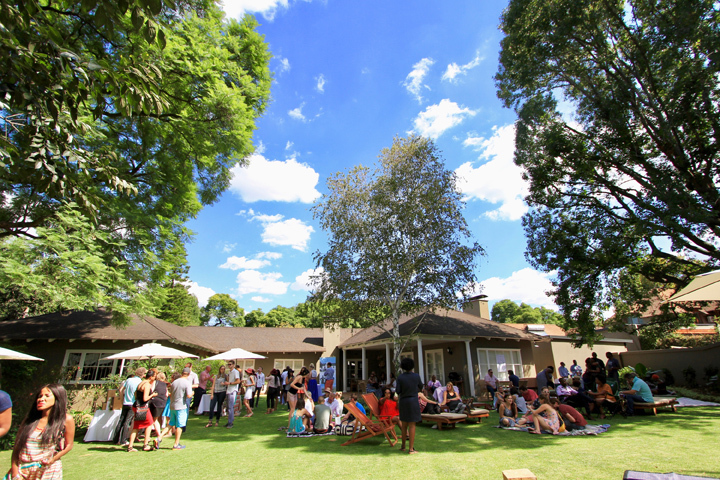 We highly recommend Leopard’s Leap, Le Quartier Francais, Haute Cabrierre and Ryan’s Kitchen. We love the harvest table at Leopard’s Leap and highly recommend it. Their wines are also really well priced and easy drinking. 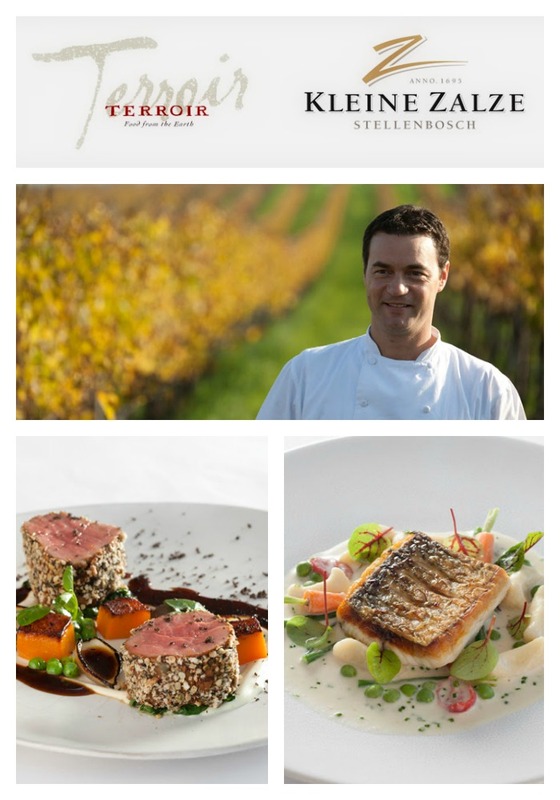 We thoroughly enjoyed our recent visit to Haute Cabriere to sample their winter menu. Thirty minutes from Cape Town you will find Babylonstoren. This historic Cape Dutch farm boasts a magnificent garden that is laid out over 3,5 hectares (8 acres). The garden is divided into 15 sections that comprise fruit, vegetables, berries, bees for pollinating, indigenous plants, fragrant lawns, a prickly pear maze, ducks and chickens, and more. In the rear of the garden you will find the Greenhouse Do pop in and enjoy some delicious home-baked cakes with coffee or tea. 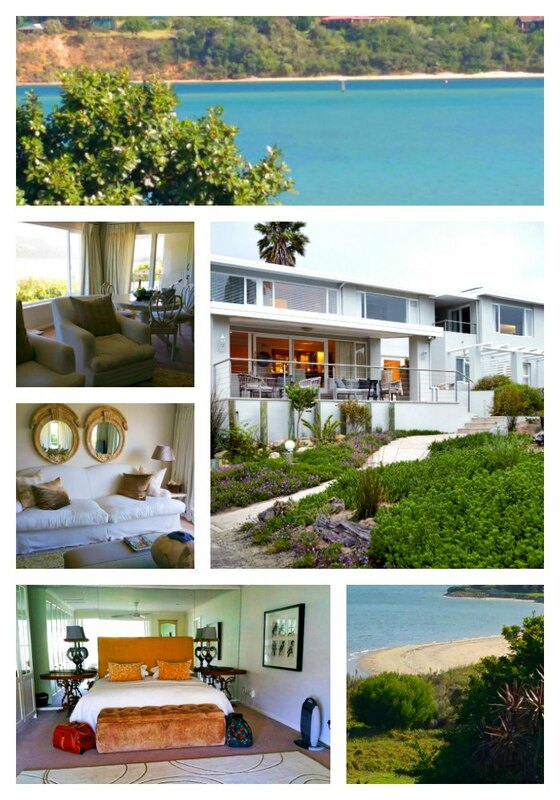 Located an hour and a half drive from Cape Town you will find the coastal town of Hermanus. 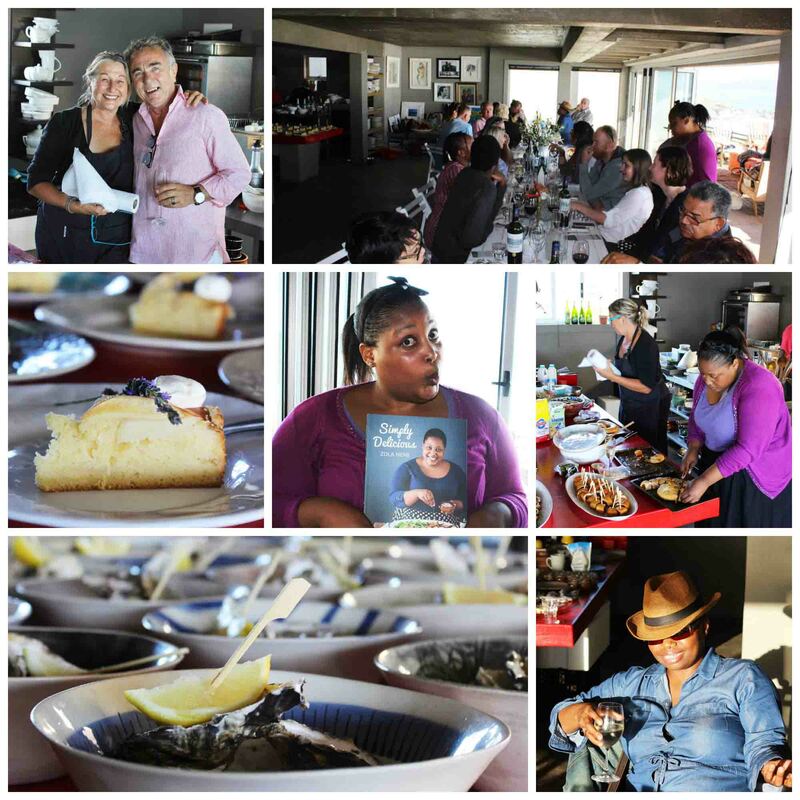 Famous for whale watching, Hermanus recently played host to Hermanus FynArts Festival. The festival programme included art, food, wine, concerts, film shows, exhibitions and workshops. This was the fourth FynArts Festival in Hermanus and we suggest that all art lovers mark it in their calendar for 2017. Situated high up the Hemel-en-Aarde Ridge near Hermanus, you will find Creation Wines. We highly recommended visiting their tasting room. It truly is a heavenly affair. First Thursdays offer a free cultural experience in Cape Town where art galleries and other cultural attractions in the central and east city districts stay open late on the first Thursday of every month. Located at the Company’s Garden is the South African Museum and Planetarium. South Africa is famous for its diamonds and you can learn more about the origins of South Africa’s diamond industry at the Cape Town Diamond Museum located at the Clock Tower, V&A Waterfront. The Castle of Good Hope Museum is located in one of the oldest buildings in the city. The first bricks and mortar and lath and plaster were set down in 1666 to form the home of the first governor Jan Van Riebeeck and his family. The Castle is the only castle in the country as well as the first garrison to house the ‘defending’ army of the Dutch East India Company. Today there are wonderful displays of memorabilia showing the successive armies and their traditions. There are of course many more to see and the City Sightseeing Tours hop-on-hop-off bus is an easy way to visit many Cape Town museums. The Alexander Bar is a bar, a theatre and a café. It’s vibey, but not noisy. A great place to hang out and have a conversation. They even have working rotary dial telephones so that you can chat to someone at another table. All very charming and old-worldly. Upstairs is the theatre and it’s cosy without being claustrophobic. Fun for all. The Fugard Theatre is very popular. With a 156000 likes on Facebook and having been visited by 31000 Facebookers they must be doing something right. Be sure to check out their site and Facebook page. It is named after Athol Fugard, South Africa’s most significant and internationally acclaimed playwright. The Artscape Theatre Centre, originally established 40 years ago as the official performing arts council for the Western Cape, Artscape has today developed into a vibrant, multi-functional creative arts centre, offering exceptional venue facilities and specialist theatrical services. As you would have realised by now, Cape Town has much more to offer than sandy white beaches and going on safari. We live in a beautiful city with a moderate climate that caters for all budgets. Come to think of it, you might never want to leave! Do hurry though. Winter doesn’t last all year. Be sure to #capetowntravelandtourism your pictures on Instagram so that we may feature them on our Facebook page. Langtafel op die DUIN should have a permanent spot in your foodie calendar!